It once seemed so easy to Prince Rhen, the heir to Emberfall. Cursed by a powerful enchantress to repeat the autumn of his eighteenth year over and over, he knew he could be saved if a girl fell for him. But that was before he learned that at the end of each autumn, he would turn into a vicious beast hell-bent on destruction. That was before he destroyed his castle, his family, and every last shred of hope. Nothing has ever been easy for Harper Lacy. With her father long gone, her mother dying, and her brother barely holding their family together while constantly underestimating her because of her cerebral palsy, she learned to be tough enough to survive. But when she tries to save someone else on the streets of Washington, DC, she's instead somehow sucked into Rhen's cursed world. I received this book in exchange for an honest review through Netgalley. Beauty and the Beast was my favorite Disney movie for a very long time, so much so that I made a point to eat at the Be Our Guest restaurant for my honeymoon. So, when I saw that this book was a retelling of one of my favorite movies, I knew I had to try it out. I was somewhat nervous that I wouldn’t like the author’s version of the fairy tale, but I was also excited to see the new perspective she brought to this classic. The two main characters of A Curse So Dark And Lonely, Prince Rhen and Harper, are both complex and engaging characters. Prince Rhen’s dark and complicated past make him a fun character to learn about and I enjoyed watching him develop over the course of the novel and learn more about his past. Harper is a bit more of a realistic character, including her illness and difficult family relationships. She doesn’t always react in the best way, but I found her to be a believable and interesting reincarnation of my favorite Disney princess. Many of the secondary characters were also intriguing, although not quite as complicated. The story, which I originally thought was going to be much more like the Disney Beauty and the Beast, was less of a retelling and more “inspired” by the fairy tale. So I was surprised by a number of the twists the author added to this plot, beginning with the Prince’s curse and Harper’s cerebral palsy. There were a few sections in the book where I wondered how long the author would be able to hold my attention with a story that I already knew so well, but just as I doubted, she’d throw a new twist in that pulled me back in. A Curse So Dark and Lonely is mostly set in Prince Rhen’s fanastical country of Emberfell. It’s clear the author put some work into the development of the world’s politics, magic and dynamics. However, I felt like the world was a bit too generic, especially with all the other twists added to the plot. After finishing the book, I couldn’t think of much that set this world apart from the worlds in other fantasy books I’ve read in the last year. Brigid Kemper’s retelling of Beauty And The Beast features a unique and intriguing cast, including a dark male protagonist and realistic female male character. The plot, although sometimes predictable and slow, had many twists that I didn’t see coming. With all the twists and interesting turns in the plot and characters, I was disappointed to find the setting was fairly generic and unmemorable. 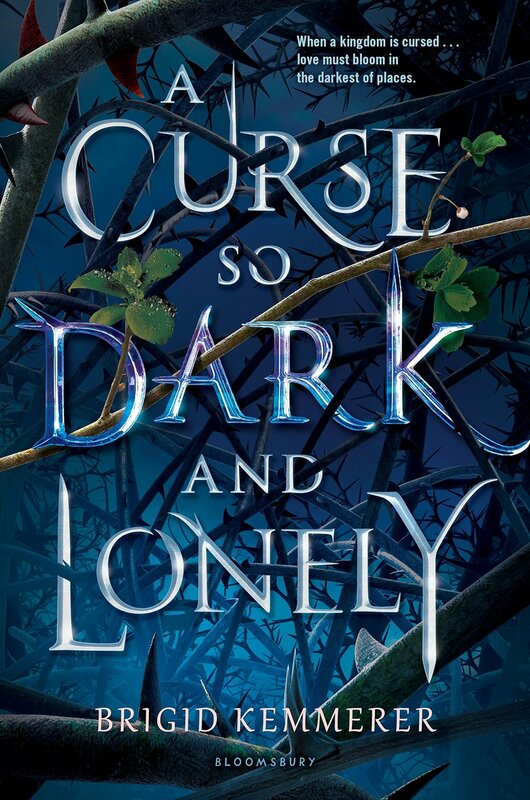 A Curse So Dark And Lonely by Brigid Kemper is available now on Amazon, Barnes & Noble and through your favorite local bookstore.